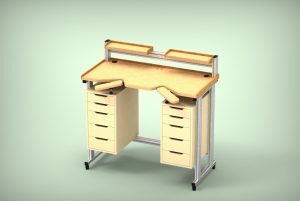 Dumet Watchmakers Workbench Mk IV. 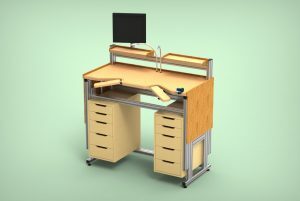 After building 10 workbenches, it was time for a major design overhaul, with more options to suit watchmakers needs. 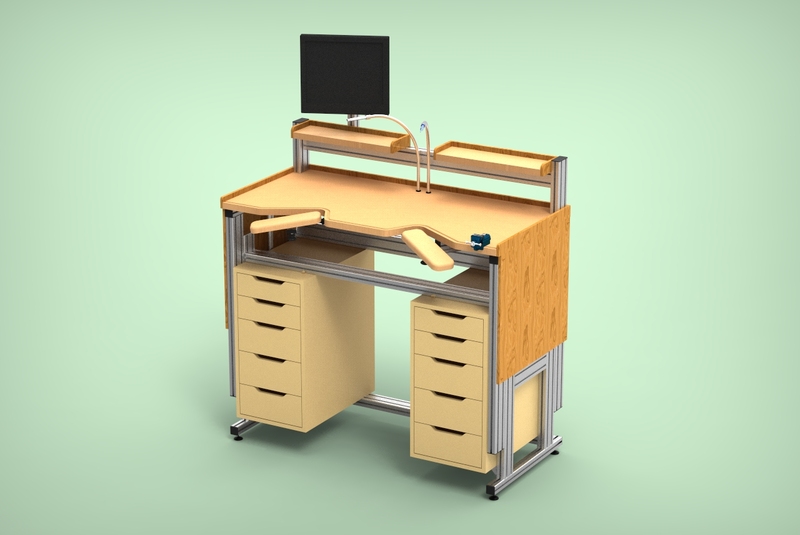 This workbench is no longer just a workbench, it has become a modular system. Dumet offers the option to specify a different heigth and width. Also, there is the option to select a frame with electric height adjustment with 200 or 300 mm of travel, 900-1000 to 1200-1300 mm. 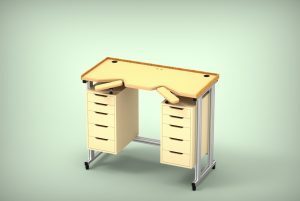 Shelf, mounted on top of the worktop, basic height 180 from worktop to bottom of shelf (1 long shelf, or 2 short shelves, to make room for Vacuüm and compressed air outlets. Cabinets, 2 wooden 5-drawer cabinets, mounted to the frame. Stainless steel tube, with Compressed air handpiece. Stainless steel tube with vacuüm handpiece. 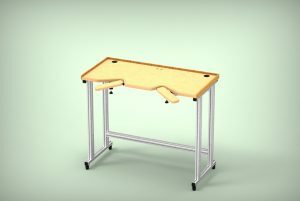 Boley Benchvice with quick-release mounting plate integrated in the worktop. If there’s something you’d like to add that’s not in the list, do not hesitate to contact me, as most options started out as customer requests as well. 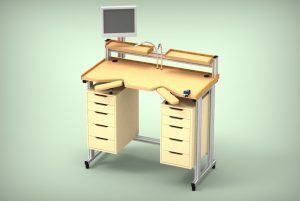 As you can see, the DumeT workbench Mk IV is a flexible system to suit every watchmaker’s needs, wether you are a professional, or just a hobbyist watch tinkerer.